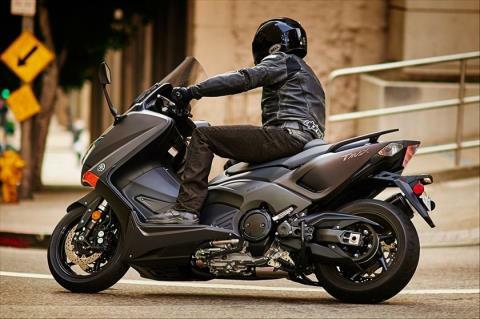 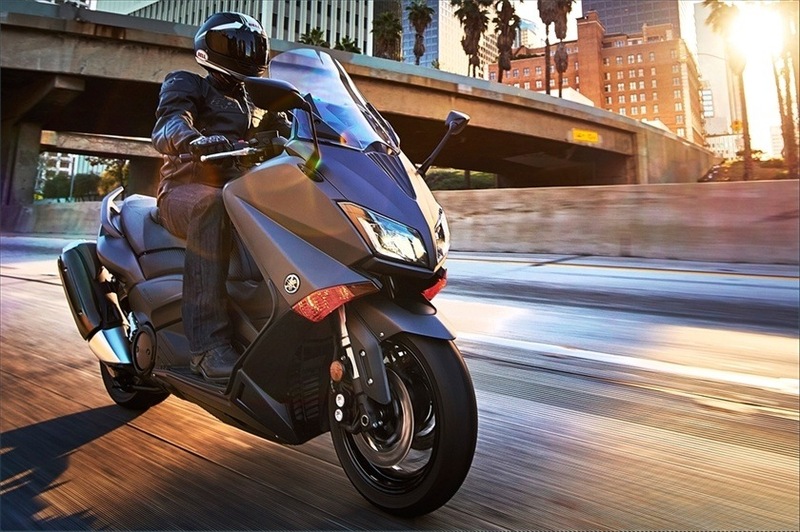 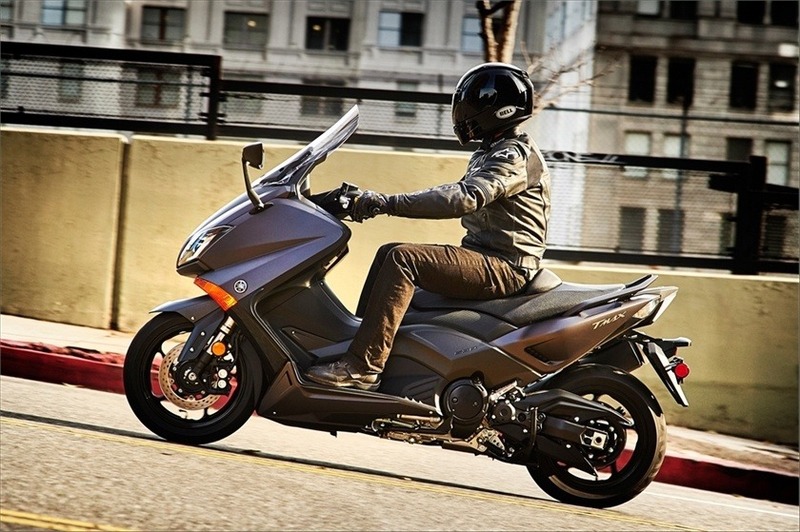 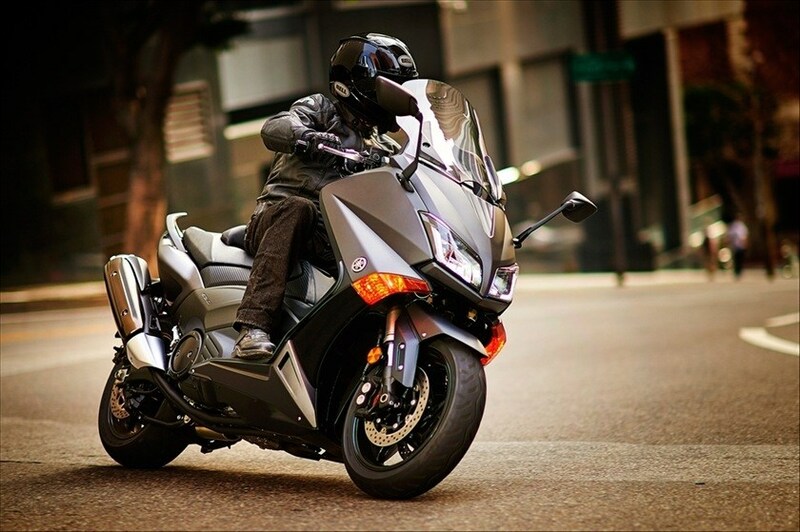 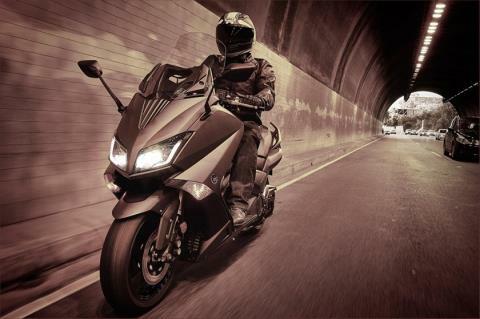 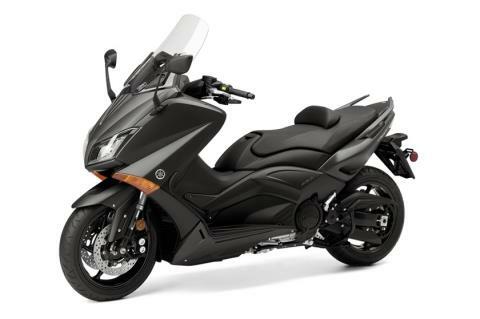 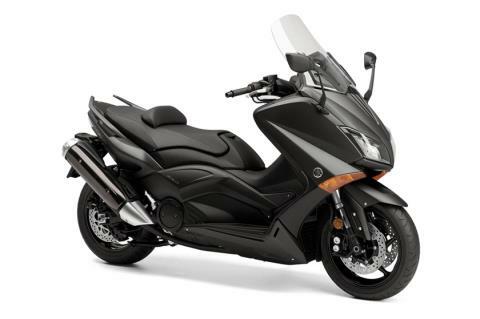 The new TMAX offers more performance than ever in a scooter that handles like a sportbike. 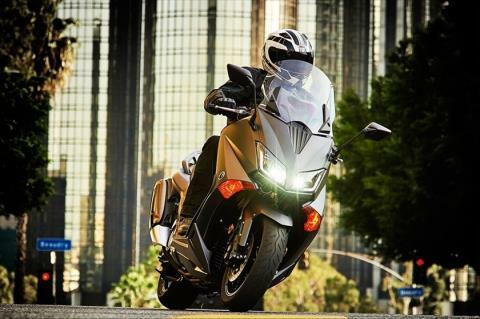 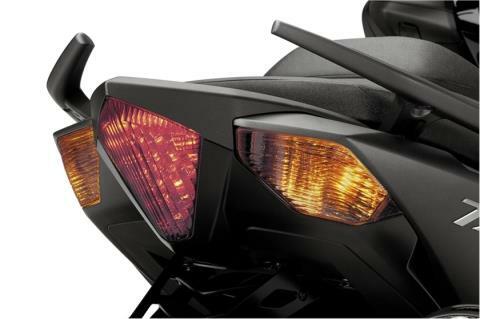 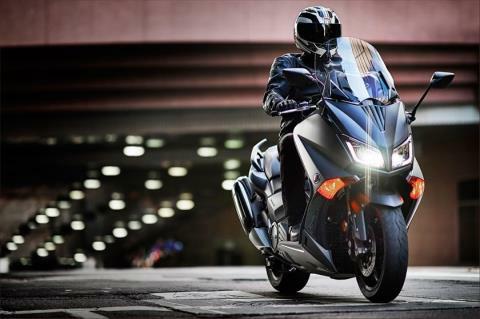 New twin-beam LED headlights offer excellent visibility and are incorporated into the all-new front cowl and add to the very sporty appearance of the new TMAX. A new, sporty instrument panel adds round dials with a black based background featuring red accents for excellent visibility and style. 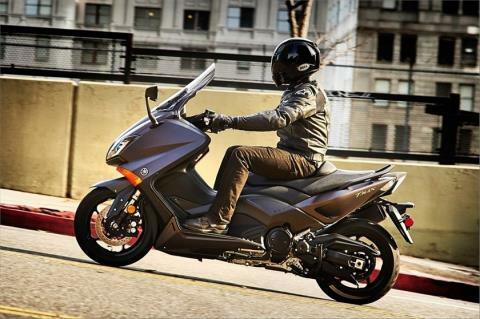 A new Smartkey system allows the rider to keep the key fob in their pocket while maintaining the ability to start and turn off the engine without the need to use a standard key switch. 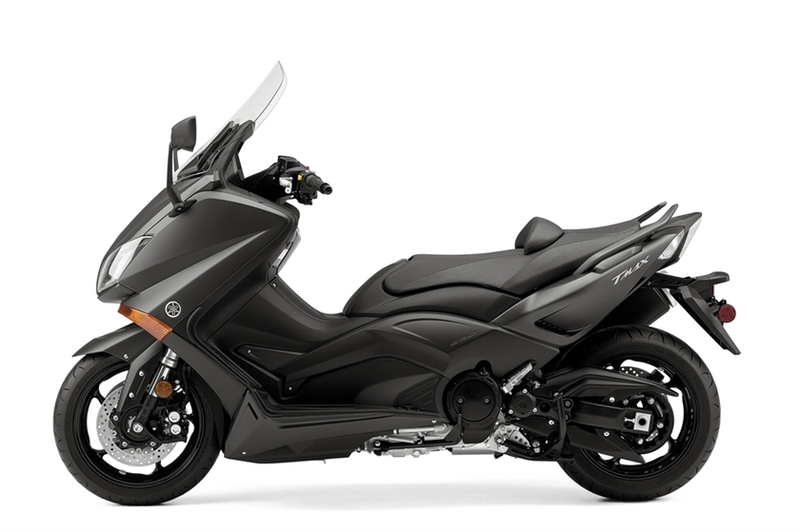 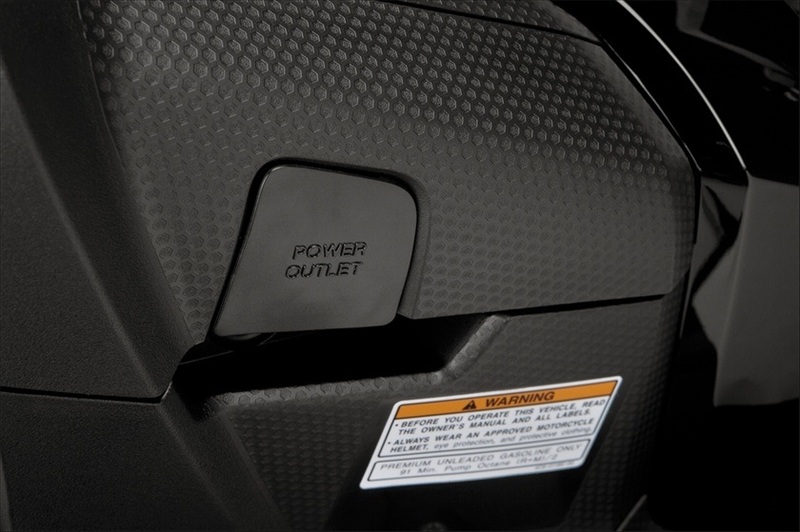 Additionally, the Smartkey allows the rider to operate the steering lock, seat lock release and 12V electric outlet cut-off with the push of a button located in the center of the inner panel. 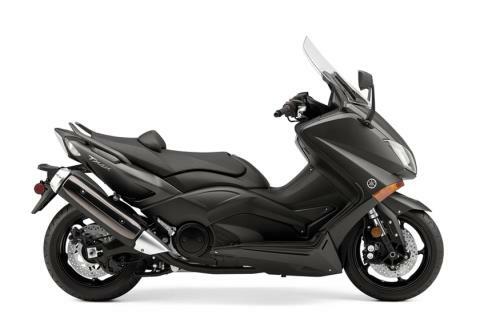 A CF die-cast aluminum frame is both strong and rigid while helping to reduce overall weight and improving the handling characteristics of the TMAX. Additionally, the swingarm is aluminum helping to reduce weight. The all-new 41mm upside-down front fork reduces unsprung weight and is both functional and stylish. 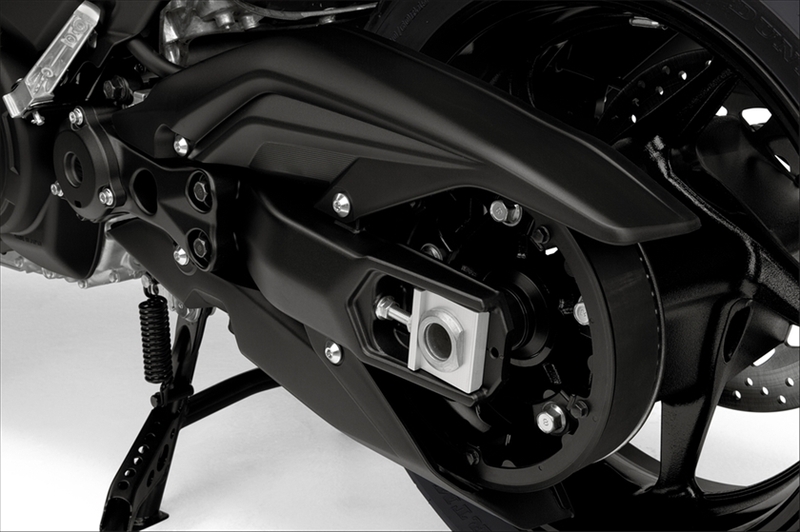 The fork provides 4.7” of wheel travel to smooth out the bumps on city streets and highways. 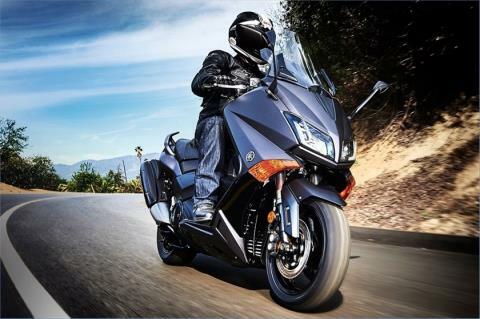 A mid-ship horizontally positioned rear shock offers 4.6” of wheel travel for added rider and passenger comfort while keeping the center of gravity low to improve handling. 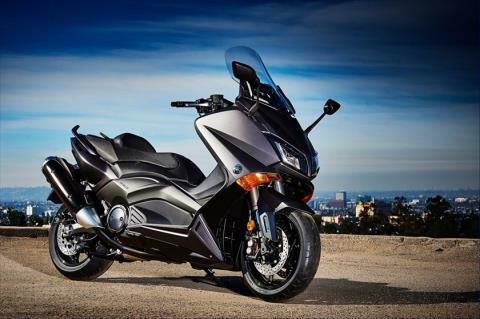 All-new radial-mount front brake calipers using 4-pot opposed pistons are coupled with two big 267mm floating mount-type brake discs and add to the sporty, cool styling of the TMAX. Braking performance is excellent with very good rider feel. 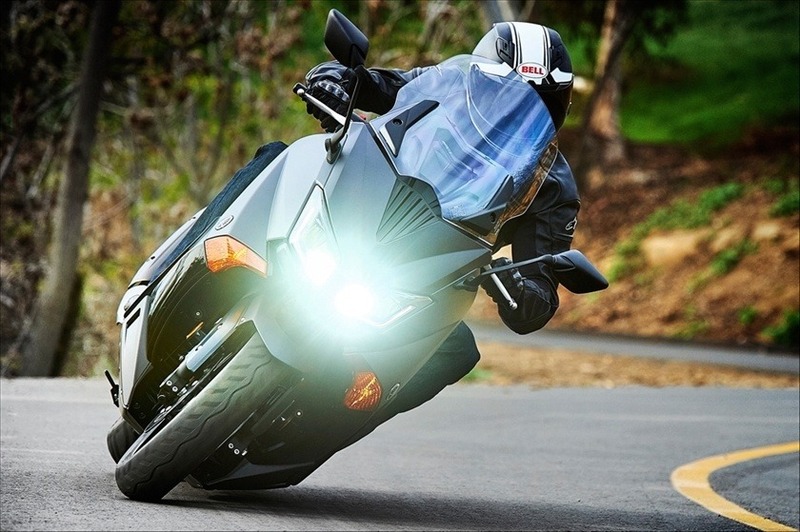 Wide, high-grip 15-inch tires front and rear offer excellent grip and comfort. A large under-seat storage space will fit a full face helmet or groceries. 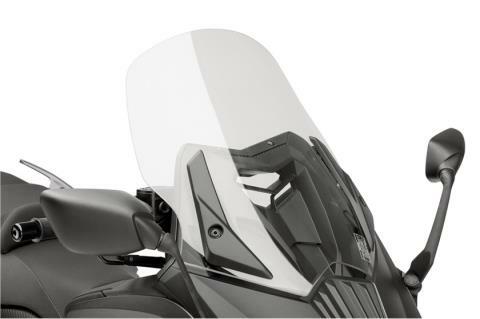 2-level adjustable windscreen for variable windscreen heights. 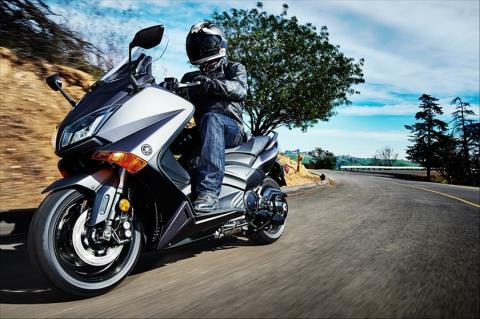 The 530cc twin-cylinder engine has a linear power feel that pulls through the powerband delivering excellent acceleration and a sporty ride experience. The engine delivers excellent fuel economy while being quiet and smooth, excellent for commuting. 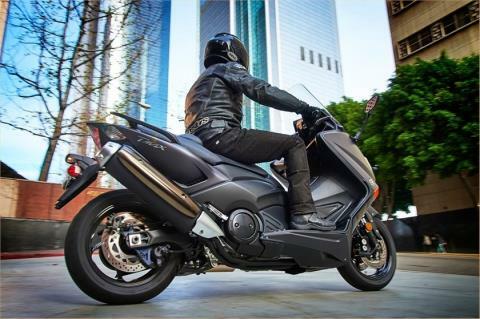 There is no need to use a clutch or shift gears with the durable and reliable continuously variable transmission (CVT) and that makes riding the TMAX fun and convenient. NEW FOR 2015 Powerful 530cc, liquid-cooled, 4-stroke, twin-cylinder, DOHC, fuel-injected engine is highly fuel efficient while producing excellent acceleration and power for commuting or highway riding. 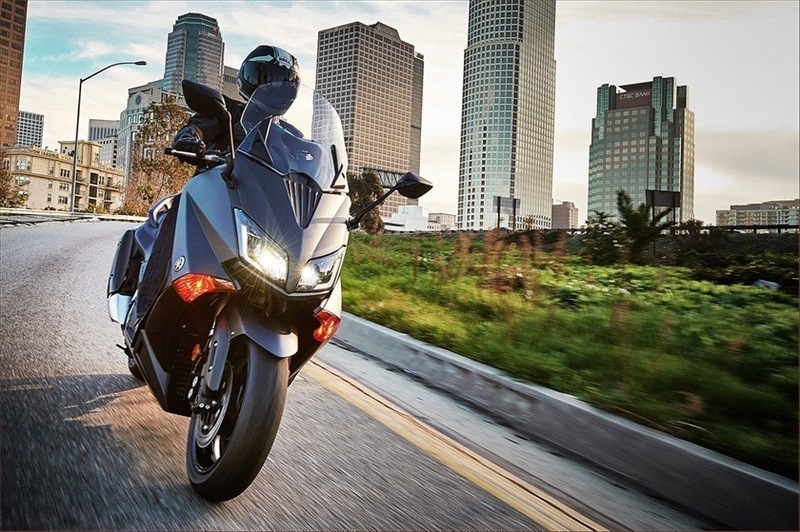 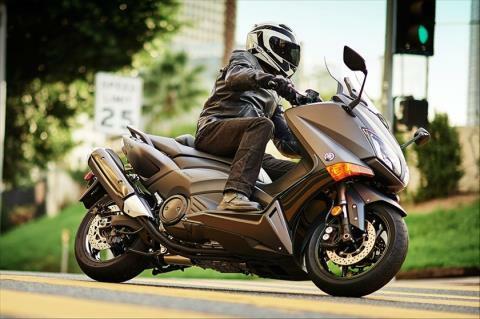 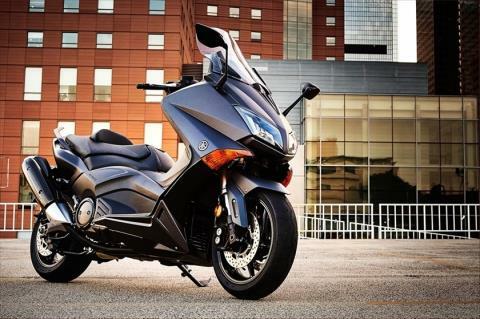 Continuously Variable Transmission (CVT) makes operating the TMAX a snap without the need to use a hand clutch or shift gears. 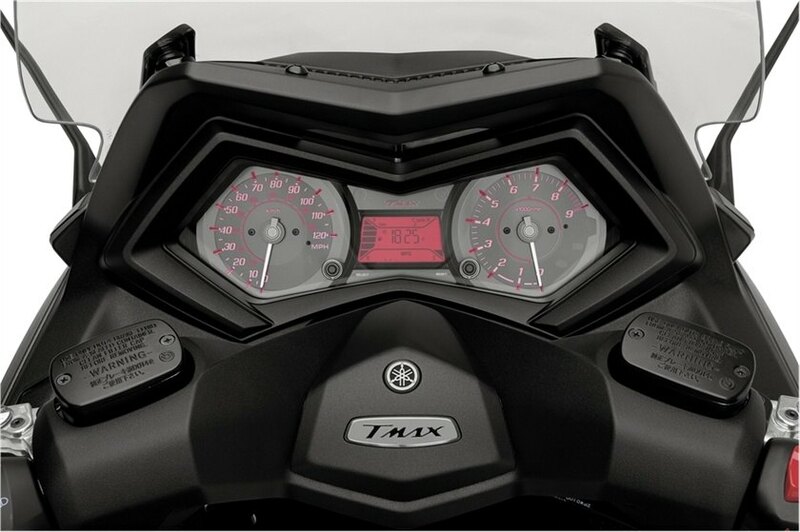 Newly designed LED headlights, front cowl, front fender, mirrors and instrument panel add to the appeal of the TMAX giving the machine a sporty and stylish modern appearance. 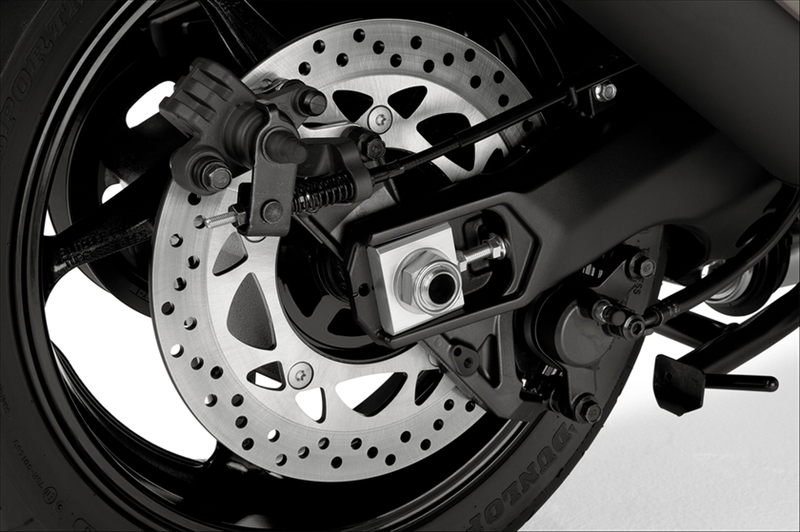 New upside-down 41mm front fork provides excellent suspension while adding to the sporty look while radial-mount front brake calipers contribute to the excellent performance of the front braking system. A new Smartkey system makes turning the TMAX off-and-on as easy as pushing a button while the Smartkey also operates the handlebar lock mechanism with the push of a button. A conveniently placed 12V outlet is also standard for charging needs.